Eliminate ‘split ends’ with mower blade grinders and keep your lawn ‘frizz’ free! Does your lawn look like it has split ends? Keeping your mower blades sharp with a mower blade grinder will eliminate this problem. Mower blades get a lot of use, especially if you mulch more than you bag. Remember when you mulch, the mower blades cut the grass over and over again, therefore the blades are working overtime. 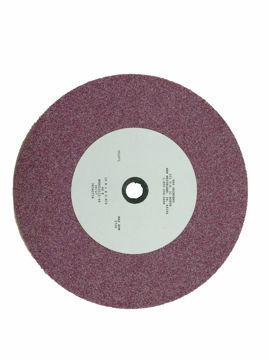 Blades sharpened on a mower blade grinder will perform far better than poorly maintained mower blades. Contractors; don’t send your crews out with dull mower blades ever again! 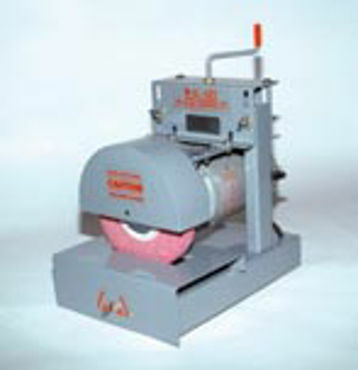 A blade grinder will make the job of sharpening mower blades much easier. 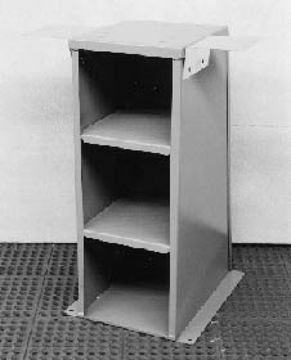 A mower blade grinder will prove to be the most used tool in your shop. 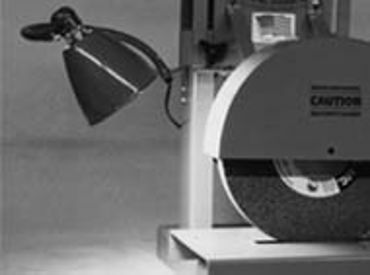 Investing in a blade grinder and professional blade balancer will help you get the job done fast and accurately. 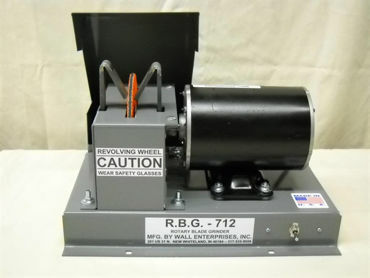 Power Equipment Warehouse has an RBG blade grinder to fit your needs. 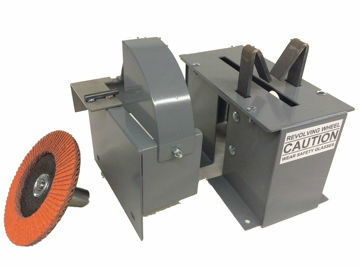 We even offer a hands-free mower blade grinder! That’s right, hands free! Simply lock the blade in place on the blade grinder, set the timer and walk away. While the blade is being sharpened you are free to perform other duties in your shop. 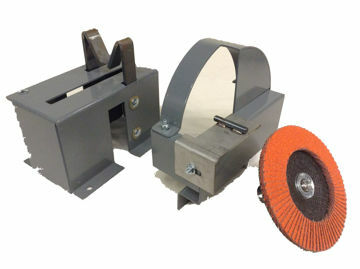 The hands free blade grinder comes standard with a grit collector and doesn’t use a typical mower blade grinder grinding wheel. 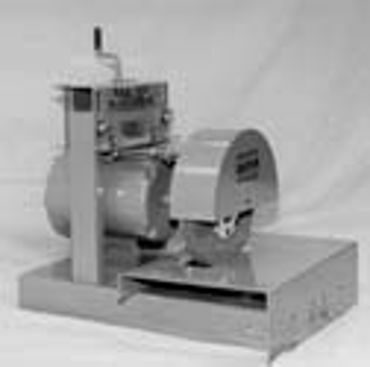 If you don’t choose the RBG hands free blade grinder, we offer other RBG models too; the standard blade grinder unit starts at ½ horsepower, and the commercial blade grinder units are available in ¾ and 1 horsepower units. 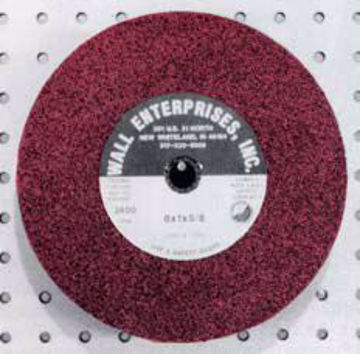 Power Equipment Warehouse also has blade grinder accessories like diamond dressers, grinder stands, dust control units, grit collectors, light kits, mulch blade adapters and a variety of wheels sizes. 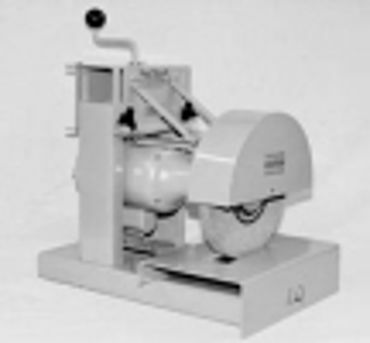 Let Power Equipment Warehouse help you choose a blade grinder and professional blade balancer that are right for your shop. Your mower blades will be professionally sharpened, and your customers will love how their lawns look too!